Many of our friends often ask us what kind of cameras they should be looking at. The step up from the “normal digital” is called a DSLR camera — Digital single-lens reflex camera. Weather its something to travel with, outgrowing your inexpensive camera, better quality images or has film capabilities, there are a few things you should take into consideration! First question is what you want to spend ? There is a big difference in entry level to intermediate to pro when it comes to both performance and dollar value. The minimum mega-pixel you would want is 10-12. But the rest of the specifications are up to you and what you want to use the camera for! The 1100D is a great camera for photography enthusiasts keen to take their first step into the world of DSLRs. The 650D has been significantly enhanced to suit hobbyists and photographers starting out. IS is image stabilizer, which is great when you are starting out. The EOS 7D can capture crisp clear shots in any shooting conditions. This camera is capable of shooting eight frames per second and capturing 90 shots in a single continuous burst, making it a favourite with sports and action photographers. We may be a bit biased towards Canon though, as this is the brand we use! Of course there are other brands such as Sony and Nikon too. These are all great cameras and a defiantly a step above entry level. 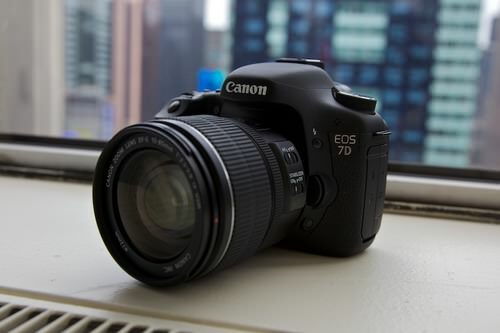 The 7d is more towards the Pro / Enthusiast and is pretty expensive. We personally would recommend looking on trademe for any of the above cameras as you can find some awesome deal. These are also good places to go to check out these sorts of cameras for good prices. Where did your photography obsession start?